Tow Bar Brisbane have been manufacturing and fitting vehicle accessories for over 20 years and over this period have built up a huge amount of knowledge and experience that is unmatched in the industry.Our suppliers have been providing high quality tow bars and other accessories into the Australasian auto industry for over 30 years, and are ISO9001 and ISO14001 certified with ongoing improvement programs. In fact, they also supply 5 of the largest car companies in Australia, so why would you go anywhere else than tow bar Brisbane? At Tow Bar Brisbane, we realise that convenience is a key factor for our customers. We have two workshops located on the north and south side of Brisbane, as well as mobile vans with all the equipment so our qualified and experienced technicians can travel to you. Wherever you are in Brisbane, we will come to you. All of our towbars at Tow Bar Brisbane come with a lifetime warranty which will not affect your new car warranty. All towbars we have in stock are manufactured to meet internationally recognised quality assurance standard AS9001.IS09001. 2. What condition will the roads be in? 3. How long will your trip be? 4. Do you have the right towing equipment? What type of towing equipment you require will depend fully on the kind of roads you’ll be travelling on, along with the type of towing you’ll be doing. 1. What’s your maximum towing rating? 2. What’s your trailer ball weight? 3. 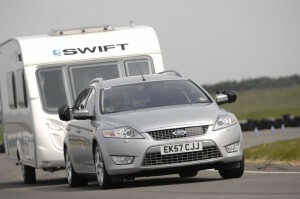 What the fully loaded weight of your trailer/caravan? Whatever season calls to you for travel and adventure, get your motorhome, truck, or van prepared with a towbar. Brisbane has many auto and body shops throughout the city that can help you choose the towbar best suited for your needs. When you meet with towbar specialists, they should ask for as many details as possible about what you are looking for in a tow bar. Brisbane mechanics should ask about the type and size of vehicle that will be doing the towing and make a list of the types of vehicles and trailers that will be towed. They should ask if you want a permanent or removable tow bar. How much you drive through the busy streets of Brisbane may be a determining factor on choosing permanent or removable tow bar Brisbane. Brisbane, being one of the largest and most populous cities in Queensland, gives the towbar seeker an advantage, as the city is rich with many towbar experts specializing in manufactured or custom towbars Brisbane making your traveling adventures with towed vehicles virtually effortless. Ask your mechanic if their shop requires you bring your vehicles to the garage for fitting and installations or if they do mobile or on-site fitting and installations of towbars. Brisbane and our sprawling metropolitan areas and far reaching suburbs can make on-site and mobile installations very appealing. Before you start shopping, do some towbar homework of your own. There is large variety of differing towbars Brisbane you can choose from so determine what you want and need and make a list based on your preferences. When you go to the auto shop, bring your list of towbars. Brisbane mechanics will happily look through your preferences and help you make a decision. Some of the towbar terms you need to familiarize yourself with are: flange, swan neck, permanent, and detachable. You can start the process of purchasing a towbar with little or no knowledge about the subject, but it is much more helpful to educate yourself tow bars Brisbane. Towbars Brisbane fitters will appreciate your knowledge and the purchasing, fitting, and installation will most likely go much smoother. When choosing what towbar you need, take a realistic look at how much you will be using the tow bar Brisbane and if the car that is being installed with a towbar is your weekend get-away vehicle or your daily commuter car. In the excitement of planning a vacation or day trip that involves towing a boat, motorbikes, off-road vehicle, or Jet Skis, ask yourself is this is a once a year adventure or something you are planning to do monthly, bi-weekly, or every free chance you get. If your towing trips will be far and few between and you would rather keep your vacations limited to the local River festival or Ekka, then it might not be practical to get permanently installed towbars Brisbane. Brisbane driving on our extensive network of motorways and freeways might be better for your vehicle if you have removable or detachable tow bars Brisbane. With removable towbars you don’t have to remember you have an “extra piece of car” sticking out when backing up or driving through traffic. If your towing plans are going to become a significant part of your leisure time and you find yourself counting down to each weekend so you can escape over the Gateway Bridge or on the Bruce Highway to our magnificent beaches or rock climbing at Kangaroo Point, then you might benefit most from permanently installed tow bars Brisbane. Brisbane and our surrounding beaches and river fronts have so much to offer, planning weekly high-octane adventures would be much easier knowing you can hook up your weekend vehicles to your van, truck or motorhome and escape at a moment’s notice. As you shop for your tow bar Brisbane, remember to ask your mechanic about the electrical wiring that needs to be done so your brakes and signals from your vehicle are working in sequence with the vehicle or trailer you are pulling with your towbar. Brisbane police could put a damper on your vacation plans by giving you a well-deserved citation for failing to comply with trailer and towing safety regulations. You will need to purchase an electrical kit that will be wired through your tow bar. Brisbane safety regulations are the same throughout Queensland, so do not overlook this important element of towing if you think once you leave the busy downtown streets, safety rules no longer apply. You can purchase a wiring kit and do the work yourself, but if you are getting a professionally installed tow bar, Brisbane mechanics will quickly and correctly do the electrical work keeping you and your vehicles safe.